Magic 8 Ball toys are great fun when you’re a kid. The fortune-telling plastic spheres have been entertaining children since the 1950s and are delightfully simple – you ask the black ball a question, give it a shake, and an answer ‘magically’ emerges out of the inky darkness. “Will I be popular at school?” The ball says: “It is decidedly so.” “Should I ask Debbie to out to the disco?“ The ball replies: “Signs point to yes”. “Will I be a millionaire someday”? “Don’t count on it,” replies the ball. All is not lost, however, for those who aspire after the high life: you can keep shaking until you get the answer you want. Fortune-telling balls may be fun way to choose a movie rental or while away an idle thirty seconds but no one would seriously base any important decisions on the ball’s random answers. At least that’s what you would hope. Some unscrupulous ‘health experts’ are, however, trying to do just that by offering us our health fortunes using nothing more than a high-tech 8 ball. 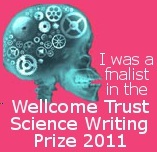 I let the centre’s management know that the advert was over-egging the truth quite a bit but they denied that they may have misjudged it: “I am fully aware of the company [who make the scanner] and completed my due diligence and taken on board both positive and negative views,” the manager wrote in response to my email presenting the evidence. “However, we will be continuing to hire the company … [I] thank you for your valued views and opinions.” It’s nice to be valued. The ASA complaint was upheld and the service has now been withdrawn from the centre. Nevertheless, other dodgy devices are being promoted in many areas. For example, a ‘bioscanning’ machine is being offered locally at £70 – £100 per session. This American-built device is apparently able to perform ‘quantum therapy’ through two finger pads using a technology called ‘molecular resonance imaging’. It sounds like science but these are wholly made up terms and could well have been lifted from an episode of Doctor Who. 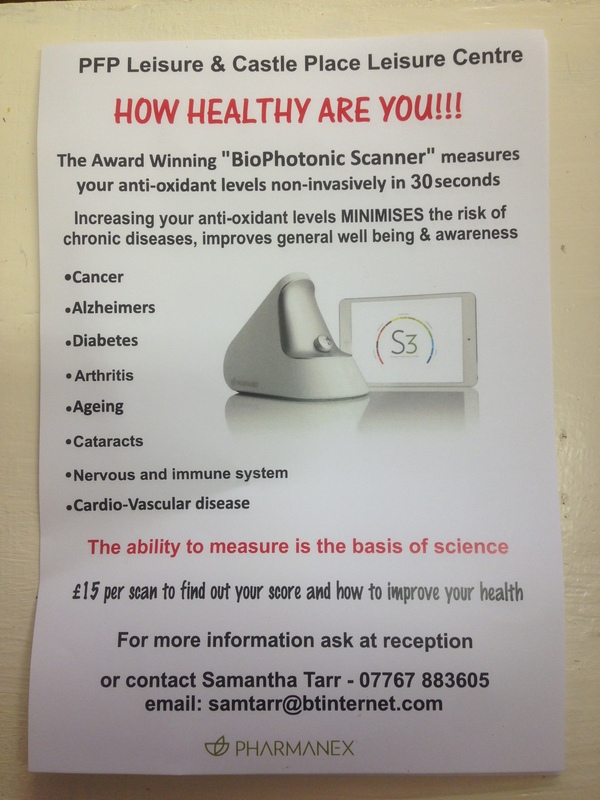 ‘Bioscan’ machines have no founding in science, have no evidence to back them up, and are a sham designed to con health conscious people by frightening them with fabricated illnesses. The devices are nothing but the equivalent of fake bomb detectors for the human body. A friend was recently offered a complimentary session with one ‘bioscanning’ practitioner. He was duly diagnosed with a variety of ‘imbalances’, including “stress”, “poor nutrition” and “pancreas problems”. Follow up ‘treatments’ would help to cure him of these ailments – for a price. Concerned, he paid his doctor (a medical one) a visit, who revealed that he was in very good health and all his blood tests were normal. He has thankfully refrained from any pricey follow-up appointments. Sadly, 8 ball scams are going to be around for the foreseeable future and could undermine our trust in real technological advances. The XPrize foundation are presently running a $10 million competition for the first team of scientists and engineers who can develop a handheld ‘tricorder’ device that is able to monitor and diagnose a variety of health conditions (see here for specifications). The winning device will be announced in early 2016 and is billed to be similar to the tricorder device used in the original Star Trek TV show. just another scam like promotion, with questionable negative ( alarming) findings/results leading to further testing and purchases, made sound too good to be true. Why not visit a family medical practitioner and have an approved and recognized tests performed with costs covered by a health insurance ?